A crew of six men had set out and successfully stopped the train running the Chicago, Milwaukee, St. Paul Line on the night of June 12, 1924. Consisting of a well coordinated strategy, some stolen cars and some inside information everything had been going according to plan. Using the railroad staff as labor, the thieves moved 63 marked Postal bags into four stolen Cadillacs in less than 25 minutes. However, during the loading of the stolen cars, two things happened that doomed the, until then, perfect crime. First, brakeman Sandy McRae suggested to the robbers that he should set fuses (flares) down the line behind the train. Rondout was at an intersection and another train was soon due to arrive; it could possibly hit the train if the red fuses weren’t set out. Glasscock agreed and McRae set out to the back of the train to set the fuses. However, when he was out of sight, McRae saw his chance and made a break for the nearest farm house to alert the authorities. Willie Newton in bed during the trial with his brothers around him. After a few minutes, the robbers became nervous when McRae hadn’t returned. Willie Newton was ordered to go and bring McRae back to the group. One side of the stopped train was illumined by the cars’ headlights and the other side was pitch black. Willie started heading out on the dark side of the train and realizing his mistake, he crawled back under the train to the illuminated side. Popping out from under the train, Willie startled his fellow robbers, one of whom opened fire, striking Willie five times. The wounds weren’t immediately life threatening but would soon require medical attention. The robbers, who were loading their cars, proceeded to place Willie in one the cars on top of some of the mail bags. Who actually shot Willie is a matter of debate, with the confusion of all that was going on; there are various accounts to what exactly happened including who pulled the trigger. However, most sources point to Brent Glasscock as the guilty party.With Willie seriously wounded and the police presumably on their way, thanks to Sandy McRae, the gang quickly left the robbery site and headed to Ottawa, IL to divide up the loot. Soon local police and postal inspectors were on the case. Through good detective work, in less than four months all of the thieves were caught and were awaiting trial. 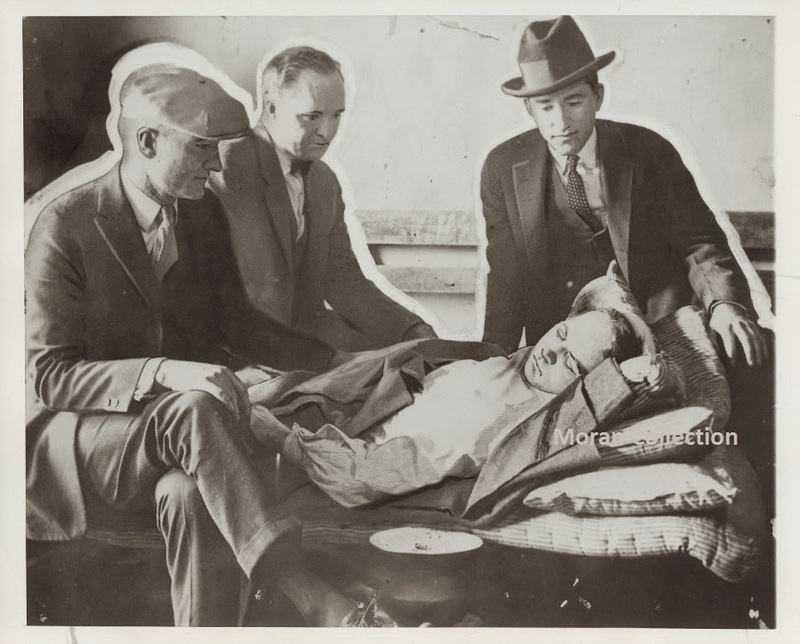 Willie, who was lucky to be alive, spent the trial in a hospital bed, which was brought into the courtroom daily. Two of the robbers were particularly interesting in how they were captured. Some of the recovered mail sacks. 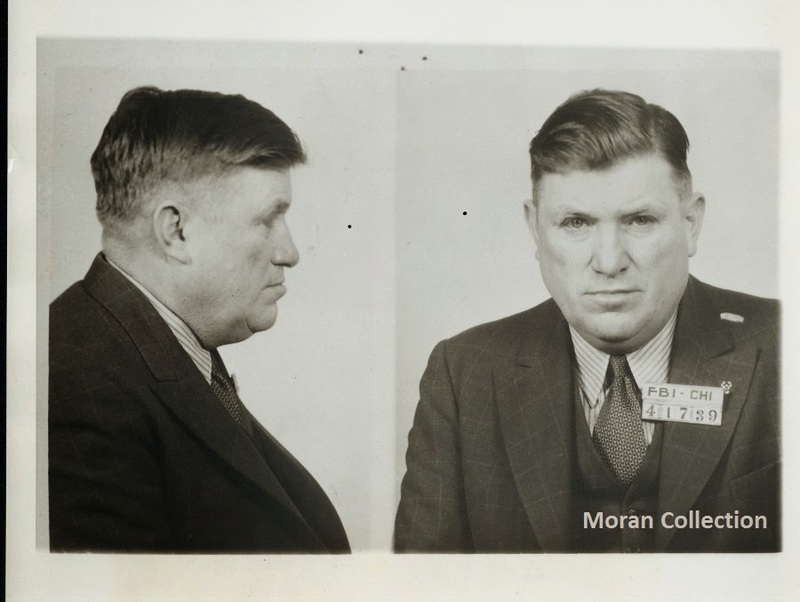 Inspector Fahy, who was working with the gang, pretty much sealed his own fate. Since Fahy had a tendency to arrive at a crime scene in the investigation before he should have, other inspectors were quick to put it together that he had some kind of extra involvement in the robbery. Using a wiretap, inspectors caught Fahy having a conversation about the robbery with one of the robbers. Willis Newton actually made it the farthest away, getting to Mexico. The United States didn’t have an extradition agreement in place with Mexico at that time, so legally law enforcement couldn’t arrest Willis on Mexican soil. However, Willis was known as a bit of a braggart. Playing on that, an undercover agent befriended Willis at a bar and told him of a rodeo in El Paso, Texas where he could show off his horse riding skills. When Willis went to go to El Paso, law enforcement picked him up and sent him back to Illinois for trial. When he was arrested, Willis was said to be wearing a gaudy outfit for his moment of triumph at the rodeo. He proudly wore it all the way back to Illinois. Picture of Brent Glasscock taken before the trial. By the end of the November 1924 the trial was over and the robbers were on their way to prison sentences. In all, eight men were convicted: the Newton brothers, William Fehy, Herbert Holliday, Brent Glasscock and James Murray. 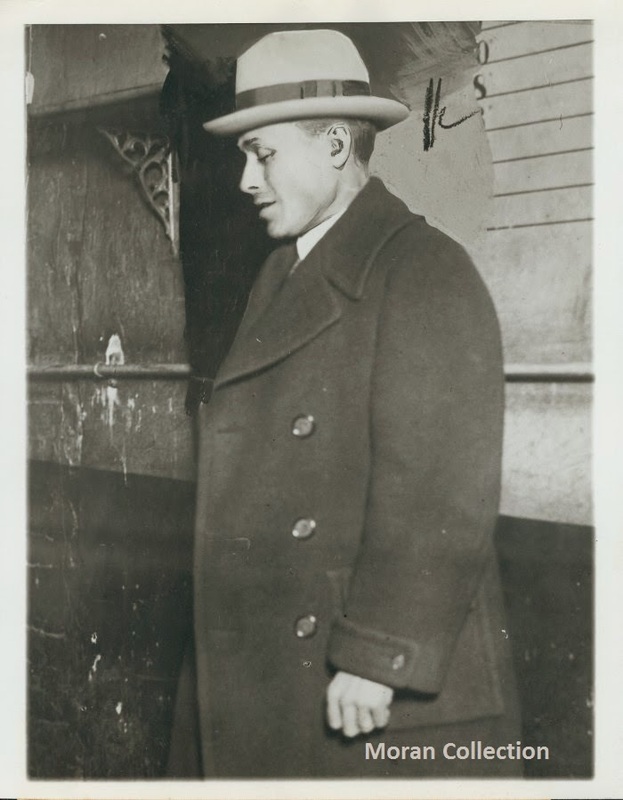 Despite the amount of money stolen, most of the robbers received rather light sentences; the most time was given to Herbert Holliday who received 25 years. None of those convicted served their entire sentence and all were eventually released for good behavior. 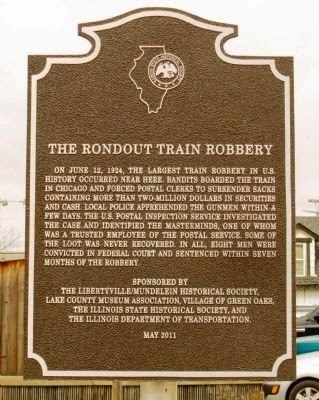 Plaque at the spot of the robbery sponsored by state and local historical organizations. The mystery of the robbery is just how much was stolen. The $3 million is an estimate and of that, only about $1.5 million was reported to have been recovered. No one is really sure what happened to the rest of the loot. Brent Glasscock was reported to have buried much of his share, which never was accounted for. An old story has it that Willis Newton buried a bunch of his share as well. The problem is that he was supposedly heavily intoxicated at the time and had no idea if/where he actually buried anything. Some even think O’Banion’s gang may have received a cut. In the end, no one is exactly sure were the missing items are.Thus ends one of the more exciting, if not peculiar, episodes of local history. It had everything you could base a movie on. If fact they did, The Newton Boys. The film that was based on the Newton’s robbery career that culminated with the Rondout robbery and can be checked out at your Cook Memorial Library! Nice write up but, your explanation of how the robbers stopped the train (with two workers waving a red lantern) differs greatly with Clarahan’s version in his book. 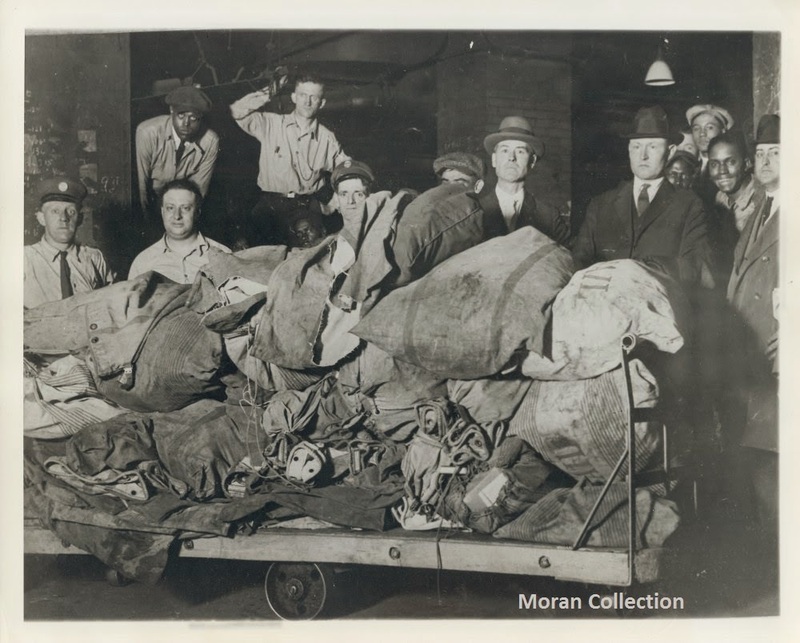 He states that two of the robbers secretly boarded the train in Chicago, where they hid between the coal tender at the rear of the locomotive, and the first mail car of the train. They rode there for 32 miles until the train passed through Rondout, which was their cue to act. They climbed over the tender into the locomotive cab, where they forced the engineer at gunpoint to stop at a rural crossing at Buckley Rd. (now Hwy. 137), about 2 miles north of Rondout. That is where the rest of the gang was waiting. PS – I worked for the Milwaukee Road in Rondout tower 1973-79; 85-88. I also researched the robbery in 1974 for the Lake County Museum, where there is now a permanent exhibit about the robbery. that version about the nervous engineer is true, because it’s how they got separated.